A blog dedicated to thought leadership and best practices for the industry of property and facility management. 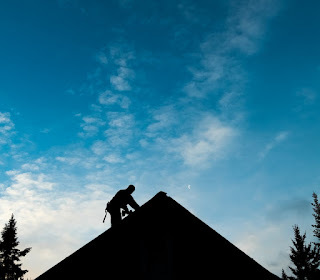 A good roofing management program extends the life of the roof and maintains its ability to perform with minimal repair. Depending on your role in the property, you will need to communicate with your facility management team to confirm that this program is in place. It is important to keep an inventory of repair materials appropriate for the roofing system, as part of a regular maintenance program. This will facilitate quick repairs that can minimize damage. Without consulting with your facilities team first about this program, roof leakage and property damage are likely, with repairs and replacement scheduled by crisis rather than by design. The best time to prepare for emergency repairs is before they are needed. Emergencies, by definition, require quick action, usually during severe weather that can cause dangerous conditions on the roof as well as inside. Electricity and water are a hazardous combination. It is important to protect occupants by closing off areas that are endangered or shutting off electrical service if necessary. Keep a supply of basic roofing repair materials on hand. In addition, sheets of plastic film, a wet-vac, clean rags, mops, and buckets are useful to protect furnishings and remove water. Specialized products developed for emergencies include reinforced nylon tarps with threaded hose connections at the center, called ceiling water diverters. Special leak-plugging chemicals are another option to consider. When dealing with extreme wet conditions, it is important to dry out the surface as much as possible. Even wet-patch materials have a better chance of success if surface water is removed. If necessary, dam off water flow to the damaged area by embedding wood two-by-fours in plastic cement or use sand, sandbags, portland cement, mortar mix, or lime. Dry the area with rags, a propane torch, compressed air, fans, or hot air guns. Use caution with electrical devices in wet areas. After an emergency is under control, record the location of the temporary repairs and schedule permanent repairs as soon as possible. If severe weather persists for weeks, the patches may have to be checked frequently and redone as necessary to protect the building. This article is adapted from BOMI International’s course The Design, Operation, and Maintenance of Building Systems, Part I, part of the RPA® and FMA® designation programs. More information regarding this course is available by calling 1.800.235.2664. Visit BOMI International’s website, www.bomi.org. In an industry that requires careful management of physical property operations, personnel, and finances, an asset plan provides the necessary direction for successful real estate management. The asset plan is designed following an in-depth analysis of the property and its position in the market. It may also be developed when a property is transitioned from one asset manager or asset management company to another, or on an annual basis, as a part of the ongoing management of an already-owned property. 1. Curb AppealStart with the property’s curb appeal. Is the property presented in the most favorable manner possible? Will prospects looking for space find it attractive for their business operation? Is there deferred maintenance? If so, this may include everything from landscaping to roof repair. The quality of facilities operations and maintenance services is the primary criteria by which customers judge the entire facilities management department. While the facilities manager can measure the performance of operations and maintenance services, corporate executives may gauge your success by the customers’ perception of those services. Facilities management employees and contractors can enhance the customers’ perception of facilities services personnel by adhering to: proper identificationproper attireappropriate demeanor and conductethical standardsProper IdentificationAll personnel should wear some form of identification, such as a name tag or photo identification card. Proper identification contributes to customers’ confidence and comfort level with the service delivery staff. Property manager's wear many hats—one includes that of a salesperson. While you do not necessarily need to have the stereotypical, slick sales personality, you do need to know your building and the market conditions. You must also be able to convey the correct message to the right prospective tenant at the right time. 1. Speaking with each of the decision makers in your building. 2. Sending out letters to the decision makers, as well as the executives of each firm.